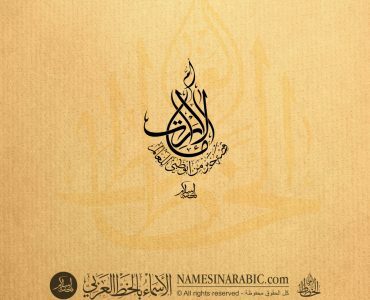 This calligraphy image Is NOT FREE, and it's provided as a sample to promote the works of our arabic calligraphy. We are a unique design studio and we specialize in custom traditional Arabic calligraphy, We are able to digitize our custom calligraphy to digital images and vector illustrated files, We offer also thousands of single names in Thuluth, Persian, and Diwani Arabic calligraphy scripts. 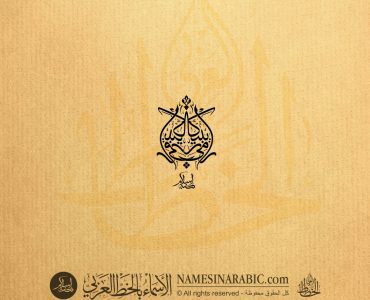 Our prices range between 50$ to 100$, more details about ordering at Request Calligraphy page. Copyright © 2019, by W.L. Media / ستوديو الخط العربي - Arabic Calligraphy Studio - "كتبه اسلام" Written by: Islam Ibn Al Fadel, All Rights Reserved.